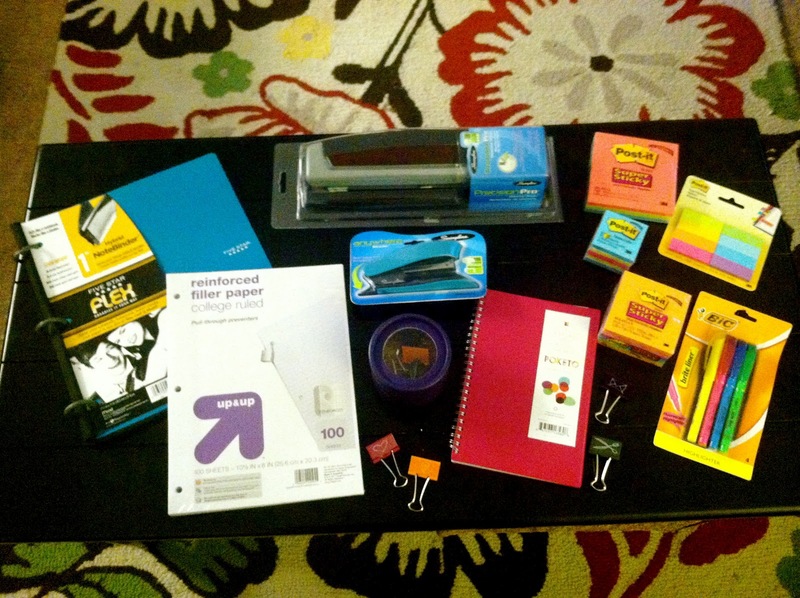 I went school supply shopping last week in preparation for my Ph.D. program starting on August 25th! EEEK! It has been four years since I have been in graduate school for my Master's Degree and I really don't know what school supplies I will need. 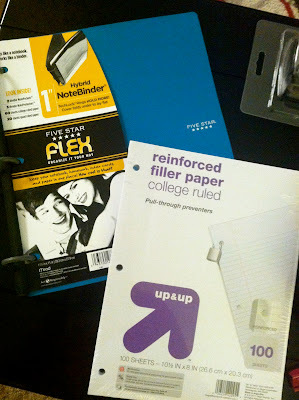 I wanted to get some of the must haves before classes start and then get any other supplies I need after classes start. In this post I will detail the items I purchased and how I plan to use them. I am a big fan of three prong folders, but I couldn't seem to find any at Target that were in fun colors. I am totally picky when it comes to things like that. I am excited to try this new notebook out. I will let you all know how it goes once classes get started. As you can see I got lots of Post-it notes and I will probably end up buying a ton more. I love Post-it notes. They just have so many uses... I got a few different sizes and I have a plan for each one! Since my graduate assistantship is purchasing my books for me I am not sure if I am allowed to write in them. I got some square super sticky Post-it Notes with lines so I could stick more detailed notes on pages of my textbooks without writing on the pages. I like to use the page marker Post-it notes to highlight pages I have notes on. 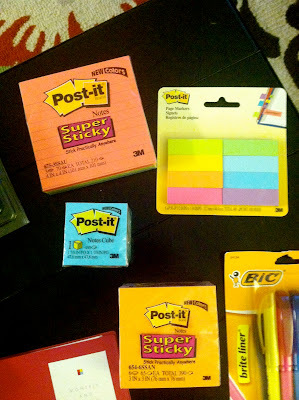 I purchased a regular size pack of square Post-it notes for general notes. 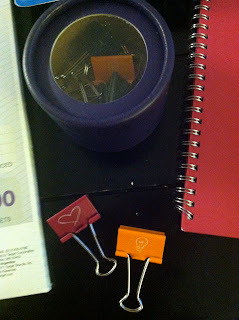 I purchased tiny NoteCube stye Post-it Notes to write down my reading assignments. I like to write the reading assignment pages on Post-it notes each week and put it on the front of the textbooks I need to read. I don't like to have to look up the page assignments on my syllabi every time I read my textbooks. 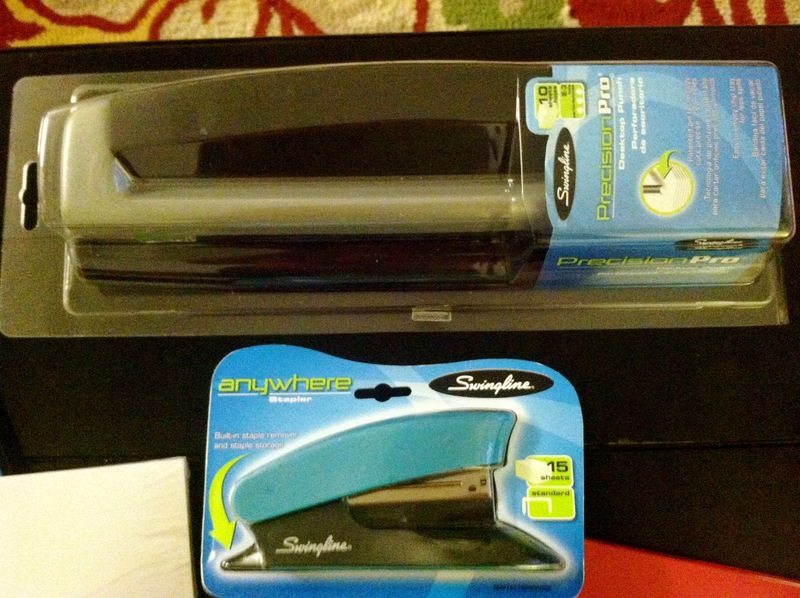 I have a super awesome mini stapler somewhere in one of my school counseling supply boxes that is in storage. So, until I decide to go through everything I purchased a mini stapler to hold me over. I have already used it for things I needed to staple unrelated to graduate school... so I think it was a good investment. I also purchased a hole punch so that I can put all of the handouts and papers I receive into my Five-Star Flex Hybrid Notebook. 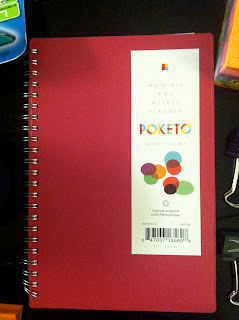 I purchased this planner on a whim and I am pretty sure I am going to take it back. I might try to make my own planner. If I do I will share it with you all! I have been trying to think of what my ideal planner would have in it. I really wanted a planner that has a monthly calendar and a to-do list for each day. I am not sure if that exists... that is why I think I am going to make my own. 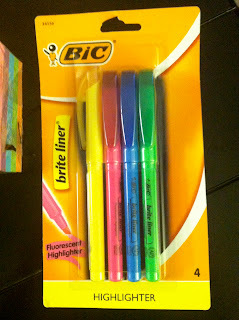 Highlighter are a big must have. I usually go through or lose them so I bough the least expensive pack I could find. 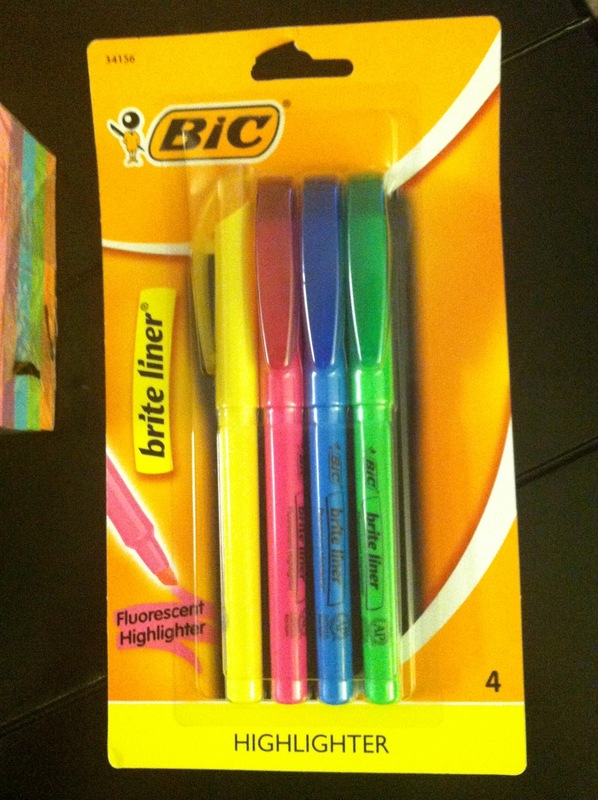 What are your must have school supplies for graduate school? Where do you shop for school supplies?